Kenya sports some incredible cave systems featuring all manner of underground phenomena and now you have the chance to see it all first hand. Join the club that knows it all when it comes to caves. Become a member of the CEGEA! of East Africa (CEGEA) was formed in Nairobi in 1964 by a small band of dedicated caving enthusiasts with the objective of undertaking and encouraging the exploration, recording, preservation and conservation of caves throughout Eastern Africa.In addition to pursuing the exciting and physically demanding sport of cave exploration in the limestone caves and fascinating lava tunnels in the volcanoes of the region, the CEGEA further aims to promote the science of caves (Speleology) that covers a wide range of interests, such as cave surveying and photography, the study of the flora, wildlife and insects that inhabit them, geology, pre-history and present day use. From time to time CEGEA organises trips and expeditions to the caves, which may be situated in remote areas, and the results of the explorations, descriptions and studies of these are published in the Group’s Newsletters and Bulletins. The Group maintains a library and contacts with other international cavers and caving organisations. 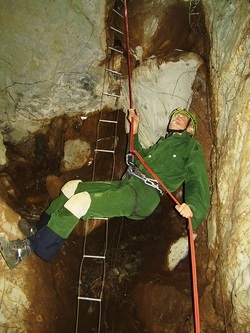 Membership is open to all with a love of adventure and the unknown – whether you are an experienced caver or climber, novice, student, retired “arm-chair” caver, or willing to support the aims of the Group through either an annual membership subscription, donation, or purchase of publications. CEGEA welcomes articles from non-member sources upon aspects of caving and Speleology related to the East African region.